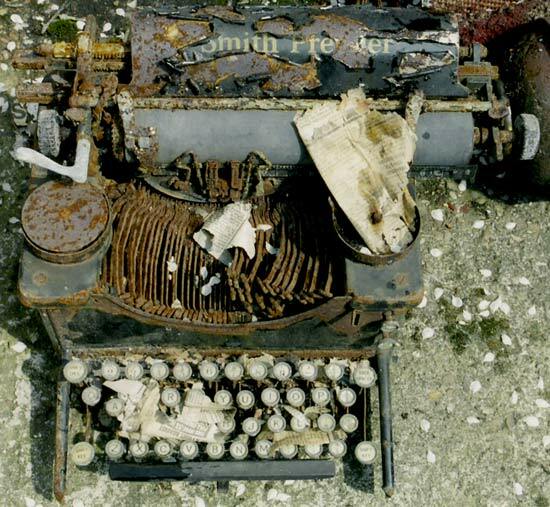 The Smith Premier was a pioneer typewriter, first manufactured in 1887. The model appearing in these images presumably dates from the 1950/60s. It had been found abandoned in a garden shed, with remnants of a copy of the Sheffield Star c.1973 snagged between its keys. The superimposed text is transcribed from the newsprint remnants.